Langley's heritage started in the 1940's when the site was a horse racing track known as the Dude Ranch. Auto racing events were held occasionally at the track and by 1950 the owner had realized the potential of motor racing as the crowds attending were larger than the horse racing events. Horse racing gave way to motor racing by 1950, The track was shortened to a .395 mile dirt oval specifically for speedway, The name of the track was changed to the Dude Ranch Speedway. 1957 Photo: Bruce Hudson post. Retired Racing Vehicles and Abandoned Race (Ghost) Tracks. In 1963 Harry Kilch brought the track and proceded to upgrade the venue to host nascar's Grand National Series events from 1964 through to 1970. There was a further name change in 1968 when Langley Speedway was upgraded once again, The transition was made from a dirt surface to an asphalt sealed surface, This was in readiness for further Grand National events, Langley Speedway did in fact host the last Grand National event prior to the series name being changed to the Winston Cup. 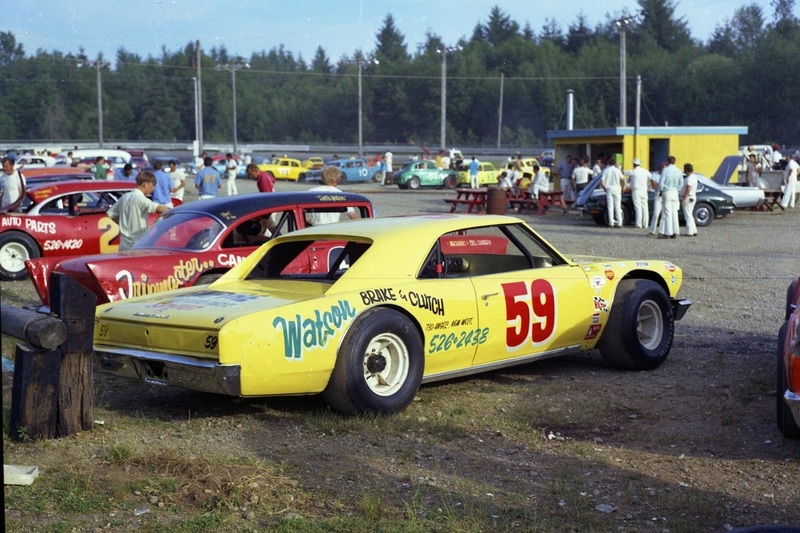 Pictured is Ken Sayers 59 racecar, 1970 was the year that the track allowed newer car bodies to be fitted to the 1957 Chevrolet frames. The following year 1971 it was changed again to use the original frame for the year of the car. The year is 2016 and the track is still very much active, The venue is currently owned by former racer and local business man Bill Mullis, that was at least up until the 8th of March 2016, When Marty O'Brien reported in a press release that: After almost two weeks of public silence, Bill Mullis, who has operated the Langley Speedway for the last seven years as owner of Victory Lane Motorsports, indicated Monday he still hopes to help re-open the track. The Speedway is currently for sale.